ఎల్.వి.ప్రసాద్ గా ప్రసిద్ధి చెందిన అక్కినేని లక్ష్మీవరప్రసాదరావు తెలుగు సినీనిర్మాత, దర్శకుడు, నటుడు మరియు దాదాసాహెబ్ ఫాల్కే అవార్డు గ్రహీత . ఈయన జనవరి 17,1908 లో ఆంధ్ర ప్రదేశ్ రాష్ట్రములో ఏలూరు తాలూకాలోని సోమవరప్పాడు గ్రామమునందు అక్కినేని శ్రీరాములు, బసవమ్మ దంపతుల రెండవ సంతానముగా జన్మించాడు. హిందీ, తమిళ, తెలుగు, కన్నడ వంటి పలు భారతీయ భాషలలో 50 చిత్రాల వరకు ఆయన దర్శకత్వం వహించటంగానీ, నిర్మించటంగానీ, నటించటంగానీ చేసాడు. అంతేకాదు ఎల్.వి.ప్రసాద్ హిందీ, తమిళ, తెలుగు భాషలలో తొలి టాకీ చిత్రాలయిన ఆలం ఆరా, కాళిదాస్ మరియూ భక్తప్రహ్లాద మూడింటిలోనూ ఆయన నటించాడు. తెలుగువారిలో బహుశా ఆయన ఒక్కరే ఈ ఘనత సాధించి ఉంటాడు. నటునిగాస్టార్ ఆఫ్ ది ఈస్ట్ (Star of the east (Silent)) - అసంపూర్తి. Prasad had heard of a studio called Kohinoor in Dadar where cinemas are made and artists congregate. On the cold winter morning on the new year’s day of the year 1930 Prasad alighted at Dadar. As he set up his lodging in Ramakrishna Lodge he realized that his dream of being in films is not going to be easy to achieve. To top it, he spoke neither Hindi nor English. He tried to convey his ambition to many using his sketchy English vocabulary to no avail. He was unable to gain entry into the studios and looked at another option – peering through the holes in the zinc sheets that made the fencing for the Kohinoor Studios. He used to watch for hours together with his eyes glued to these holes. Opposite the Kohinoor studios there was a tailor’s shop frequented by the stars and Prasad used to stand and watch them come and go. The tailor had been noticing Prasad’s dedication in peering through the holes in the fence and understood his passion for films. But the visiting stars found Prasad’s ambitions funny and merely laughed and made fun. Undaunted, Prasad continued to frequent the tailor shop for he was with cinema people here and he was enjoying it. A few days later he returned to his room to find his trunk broken open and whatever little money that was left was stolen. But the kind hearted thief had left a little money and a note suggesting him to go back to his village with the money. He left the hotel with his trunk and returned to pursue his interest to enter the studio. The tailor was now quite intrigued to see him with his trunk and inquired. After listening to Prasad's story he suggested Prasad to stay in his shop, clean the place daily, set up his hookah and start looking for a job later. Though Prasad’s ambitions seemed to be going farther every day he somehow landed an errand boy’s job in Venus Film Company and here he met a Punjabi youth called Dharilal. Venus neither made any films nor did Prasad get his wages. Dharilal got Prasad a job in a carnival to do a little bit of acting- basically talking and enticing people to visit the games. He then joined India Pictures as an errand boy where [[Akthar Nawaz]] cast him in a bit role in the silent film ‘Star of the East’. The film was never released. Dharilal’s sister Moti was working in Imperial Film Company and she got Prasad a bit role in Ardeshir Irani’s ‘Alam Ara’ the first India Talkie Cinema released in 1931. Prasad was paid a monthly wage of Rs.30/- for his role in Alam Ara and also to do bit roles wherever required as a pandit, chowkidhar and so on. In Imperial he met H.M.Reddy who had left his police inspector job to try his luck in films. H.M.Reddy gave Prasad a small role in Kalidas, the first Tamil Talkie cinema and subsequently in Baktha Prahlada, the first Telugu Talkie. An excited Prasad dispatched a telegram home, where by now everyone had given him up for dead. He took a train to his native village to tell about his success where he was given the bad news of his little daughter’s death. He returned to Bombay with his wife where his first son Anand and later Ramesh were born. Prasad by chance got a role as an assistant director in Kamar-Al–Zaman directed by Ali Shah. This was also the time Prasad saw his name being shortened from Akkineni Lakshmi Varaprasad Rao to L.V.Prasad by a clerk taking attendance who found the name too long to utter. This name stuck with him forever. Imperial had to retrench people and Prasad was left jobless. Things had not improved for him in the past 8 years, but for some acting, a little bit of assistance in directing and some odd roles. He decided to leave Bombay with his family to his native place with an intention of raising some funds from known people and start his own production company. This did not work. One day when he was desperate, a telegram came from H.M.Reddy to act in Rohini Pictures production Grihalakshmi. He left for Madras and life changed. He made impact in H.M.Reddy’s Tenali Ramakrishna and Gharana Dhonga. Second World War was at its peak and the Japanese bombed Madras forcing many to migrate. H.M.Reddy left for Pune with his family and Prasad had to return to his native place. He was deeply depressed now since he found himself a misfit for any job other than cinema. In 1943 he got the opportunity to take on the responsibility of assistant director for Gruha Pravesham. Due to circumstances he became the director of the film and then he was also chosen as the hero of the film! Gruha Pravesham, released in 1946 was one of the finest films of the forties and went on to become a classic of the period. After this K.S.Prakasha Rao offered Prasad an important role in Drohi. During this time Ramabrahmam was facing difficulty in finishing his film ‘Palnatti Yuddham’ due to ill health and he chose Prasad to do justice to this film. After this in 1949, Prasad directed Mana Desam and introduced N.T.Rama Rao, later to become a legend in Telugu cinema, in a minor role. In 1950 Vijaya Pictures released their first film ‘Shavukaru’ establishing L.V.Prasad as a great director. N.T.Rama Rao became a hero in Shavukkaru and Janaki the heroine, climbed to fame to become known as ‘Shavukar Janaki’. Samsaram released in the same year brought together the two legends of the Telugu film industry as brothers – N.T.Rama Rao and A.Nageswara Rao in a social drama which created records wherever it was released. The film provided a model for later film makers, a model and theme relevant and popular amongst film makers even today. After this success chased him. He directed some memorable films in the fifties all of them known for their drama and fine humour. Rani a Hindi film took him to Bombay again and after that Jupiter Films engaged L.V.Prasad to direct their Magnum Opus Manohara starring the legendary Shivaji Ganesan in Tamil, Telugu and Hindi. This film elevated Shivaji Ganesan to the greatest heights of stardom. In the mid fifties the industrialist in L.V.Prasad came into being and he purchased a plot offered by Ranganadha Das to start building his own studio. The combined pressure of building the studio and directing films started telling on his health and in 1955 he suffered from a bout of sciatica. Though he recovered sufficiently, his decision to return immediately to his duties, against the doctor’s advice, resulted in prolonged treatment and diet restrictions till the end. But L.V.Prasad had more goals to achieve. In 1955 he assigned D.Yoganand to direct his first production ‘Ilavelpu’ in Telugu under the banner Lakshmi Productions. L.V.Prasad established Prasad Productions soon after this in 1956. His second son Ramesh returned from the United States after obtaining his B.E.M.S degree and established Prasad Film Labs in Chennai in 1974. Prasad Productions made many memorable box office hits including Milan, Khilona, Sasural and Ek Duje Ke Liye. L.V.Prasad contributed generously towards the establishment of L.V.Prasad Eye Institute in Hyderabad, which is today, one the foremost eye research institutes in the world. The efforts started by him in 1956 is today one of the largest infrastructure for feature film post production in India with facilities and offices in India, Singapore, Dubai and Hollywood. During his lifetime L.V.Prasad held many posts and won many awards. In 1982 came the crowning glory of his lifetime – the Dada Saheb Phalke award from the Government of India, the highest recognition in Filmdom in India. 1.L.V.Prasad directed the silver jubilee hit ‘Khilona’ which was also screened in the Dreamland Theatre in Mumbai where he had worked as a ticket collector in the early years of his career!‘Khilona’ won the Filmfare Award for Best Film. 2.Manohara, a Tamil film directed by L.V.Prasad, in 1954, propelled the Immortal Tamil Cinema Legend Shivaji Ganesan to dazzling heights of stardom. 3.Dr.M.Karunanidhi, the present Chief Minister of Tamil Nadu wrote the script for all the Tamil films produced by L.V.Prasad and also for ‘Manohara’ ‘Iruvar Ullam’ and ‘Thayilla Pillai’ directed by L.V.Prasad. 4.He was Awarded ‘RAJA SANDOW MEMORIAL AWARD’ for the year 1978-79 by the then Honorable Chief Minister of Tamil Nadu, Dr. M. G. Ramachandran at Madras. 5.L.V.Prasad was Chairman of the 27th National Film Festival Awards Selection Committee (Feature Films) held at New Delhi in 1980. 6.He was honoured by the Andhra Pradesh Government with the ‘RAGHUPATHI VENKAYYA AWARD’ for the year 1980. 7.He was honored with ‘UDYOG PATRA AWARD’ by the Honorable Vice President of India, Mr. M.Hidayatullah at New Delhi on 20 December 1980. 8.He was Chairman of the All India Selection Panel(Indian Panorama) for the 8th International Competitive Film Festival held in New Delhi from January 3 to 17, 1981.Kala Sagar and the Madras Film Fan’s Association bestowed honours on L. V. Prasad on 18 October 1981. 9.L.V.Prasad was Chairman of the International Jury for Children’s Film Festival held in November 1981 at Madras. 10.He received the ‘RAMNATH AWARD-82’ by the Cine Technicians’ Association of South India on 5 June 1982. 11.In the year 1982 he was awarded the DADASAHEB PHALKE AWARD, the crowning glory of his life. The Dadasaheb Phalke Award is an annual award given by the Indian Government for lifetime contribution to Indian Cinema. It was instituted in 1969, the birth centenary year of Dadasaheb Phalke, considered the father of Indian Cinema. 12.He was given ‘KALAATAPASVI’ award by Telugu cinema weekly magazine ‘SITARA’ on 13 March 1983 at Hyderabad. 13.He was elected as the President of The South Indian Film Chamber of Commerce for the year 1982-83. 14.Kala Prapoorna award was conferred on him by Chancellor, Andhra University at Waltair on 21 December 1985. 15.He was Member of the Board of Film Censors from October 1980 to February 1987. 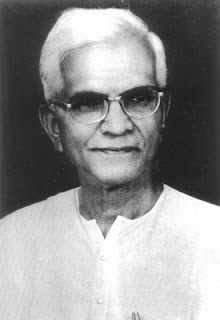 ‘ANDHRA RATNA’ award was conferred on L.V.Prasad by Andhra Pradesh KALAVEDIKA on 27 March 1987 at Hyderabad. 16.L.V.Prasad was Chairman of the Studio Owners, Council, a wing of Film Federation of India. 17.The Government of India released a Commemorative postage stamp in his memory in 2006. 18.He also donated acres of Land to the non governmental Eye Hospital named after him as L V Prasad Eye Institute, in posh area of Hyderabad, Andhra Pradesh.